At my brother's advice, I went with the GW2280 instead of the GW2270. But they should share the same strengths and... pains. Extremely bright at 0% brightness and 0% contrast. Rapid migraine trigger. Can't tell if screen slowly pulsing or just my migraine doing that. Comes with D-Sub cable, had to borrow other cables. Currently using HDMI to DVI cable. Unless I've missed some trick, I'd rate this 0/5. Ananiujitha Extremely bright at 0% brightness and 0% contrast. Rapid migraine trigger. Can't tell if screen slowly pulsing or just my migraine doing that. Uh, what source device are you using? Ananiujitha Running OS X? If so that's why I wanted to ask. Dithering can make the screen look like it's "pulsing" but so can a severe migraine. Dithering shouldn't make it so bright through. I think the brightness alone may be enough to trigger my migraines. When I first tried a BenQ monitor (XL2720Z) when my vision was still unstable I too was triggered by the high brightness. Also there is a setting in the Iristech app pro version with what you can lower the brightness via screen overlay. Still testing it. Running at 30% Red, 40% Green, 30% Blue helps bring the brightness down. Are you connecting this monitor to a laptop? Every time you do that you are making the image more blurry. Samsung has a magic function that helps prevent image degradation. 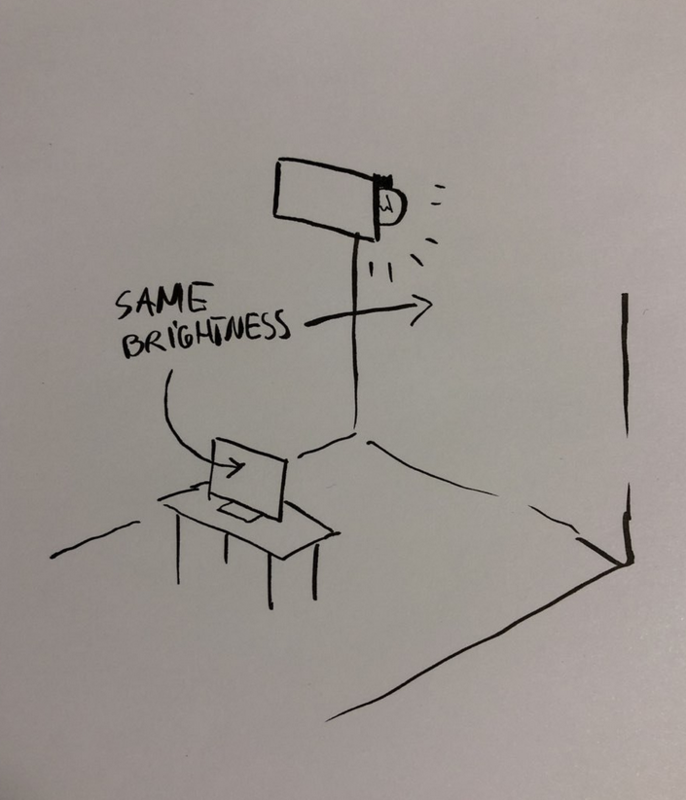 I imagine most people on this site will have major issues when connecting a monitor to a laptop because our eyes have issues focusing on blurry images. jasonpicard VGA with a too thin a wire (AWG) will make the image blurry, yes.